Large print area for team logos and sponsorship. Packaged tightly for inexpensive shipping. Packaged in singles as non-noisemakers or packaged in pairs as noisemakers. 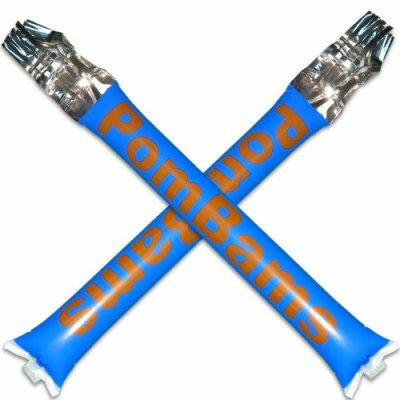 Considering having sponsors place their logo on the back of your PomStix and raise funds. Up to 4 logos can be placed easily.